If you’ve had an accident or sustained an injury – perhaps through sport or gardening – or if you have general aches from sitting or standing too long, the team at Active Care Chiropractic can help get you moving again. We encourage you to be actively involved in your recovery and care. By helping you understand the way your body works and responds to the demands of your everyday life, we can often help avoid injury. 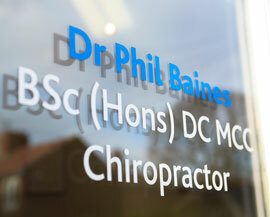 With 13 years experience, you can be sure that with the Active Care Chiropractic team you are in safe hands.